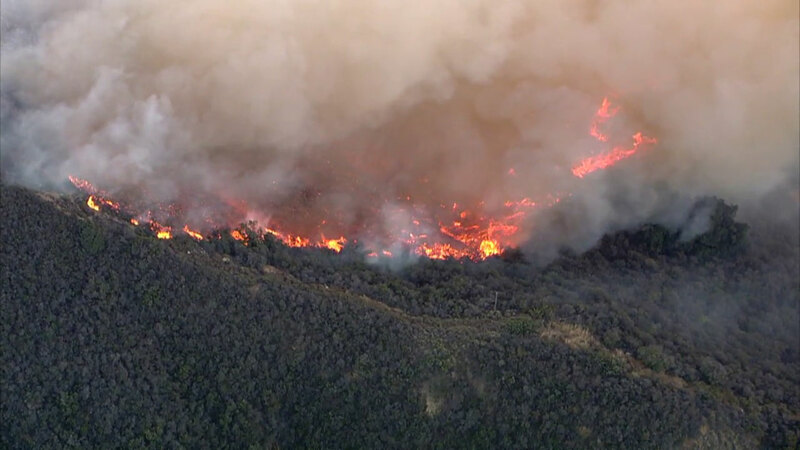 GAVIOTA, Calif. -- The Sherpa Fire, a wildfire that broke out in northern Santa Barbara County, is now 93 percent contained after burning through more than 7,000 acres for over a week. According to a tweet from CalFire, the fire was fully contained early Saturday morning and has burned approximately 7,474 acres. The blaze started in the afternoon on June 15 near the top of Refugio Road along the Gaviota coast. The fire quickly spread from 50 acres to 1,500 within a day, prompting mandatory evacuations for nearby state beaches and rural communities in the area and in canyons. Strong winds and high heat had fueled the fire but as conditions got better during the week, firefighters gained control. About 800 firefighters dealt with rugged and steep terrain on the hillsides. Twice the fire also shut down both sides of the 101 Freeway between the cities of Buellton and Goleta.